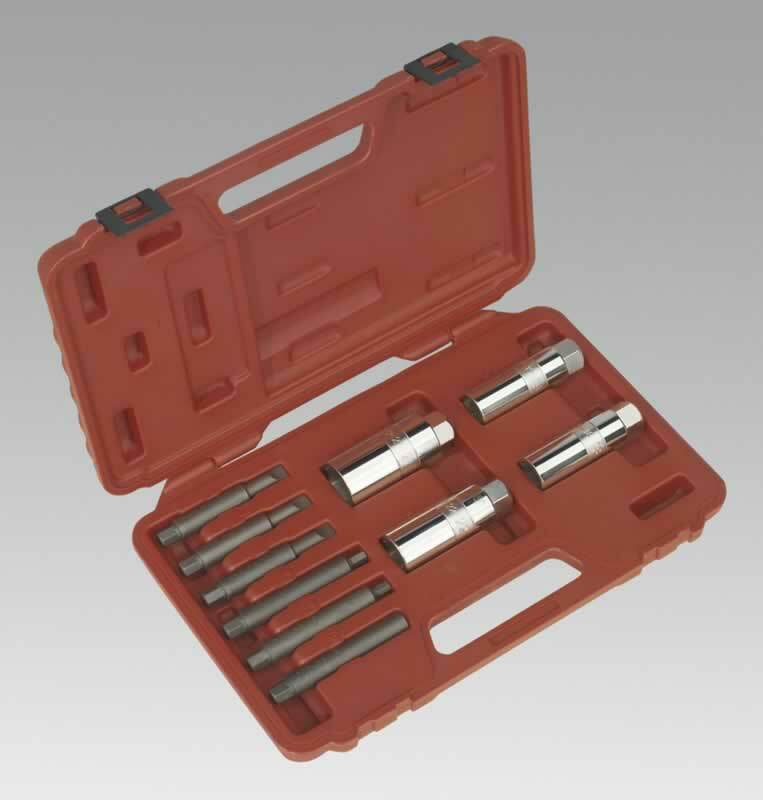 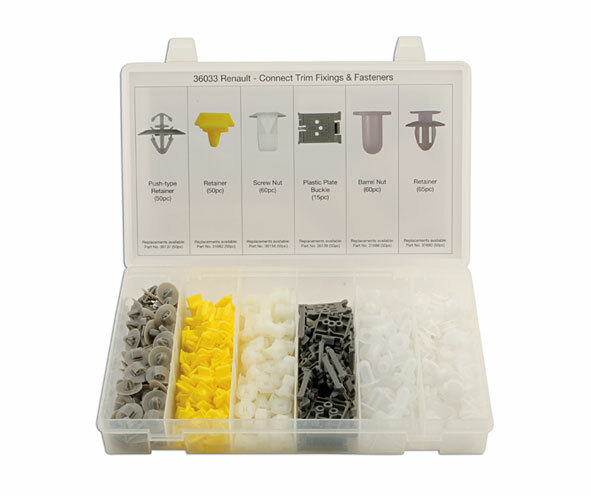 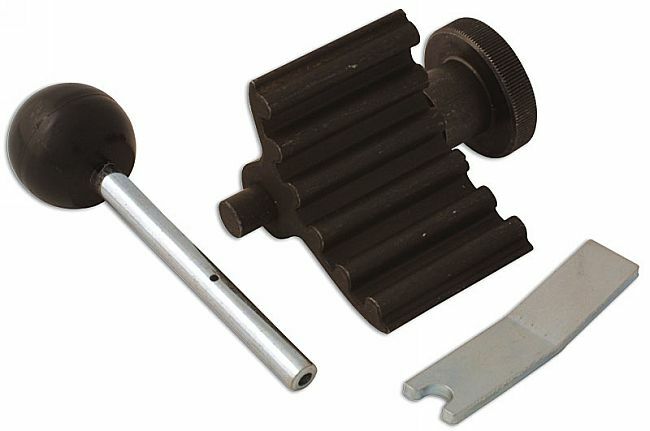 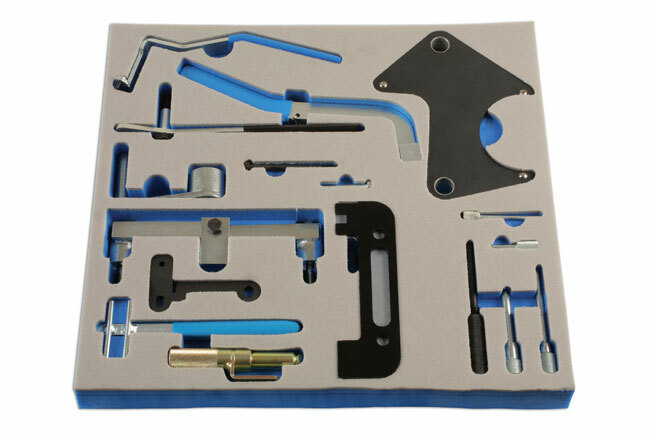 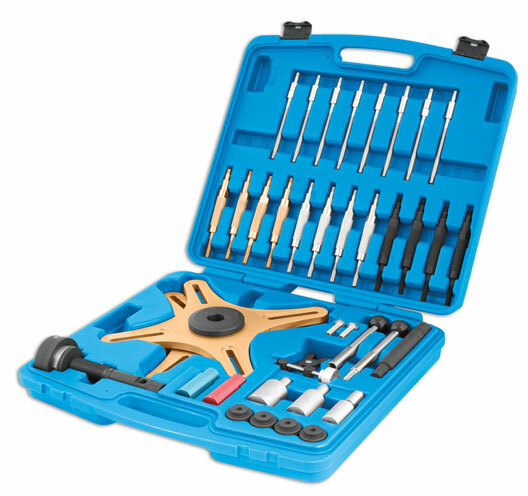 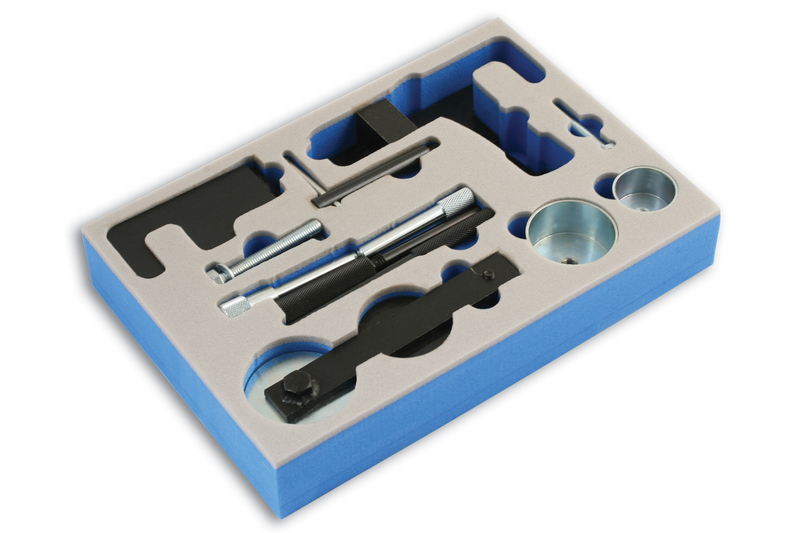 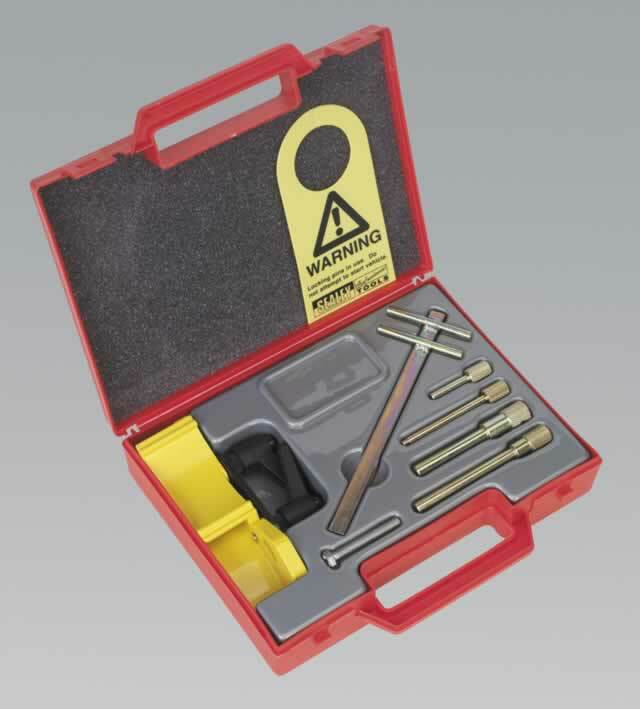 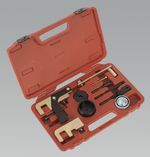 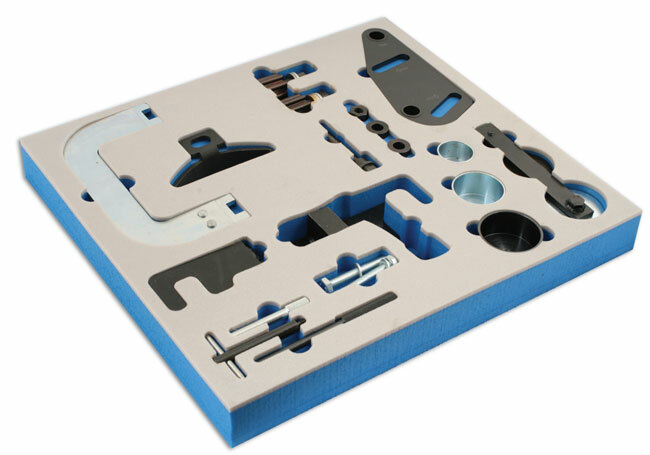 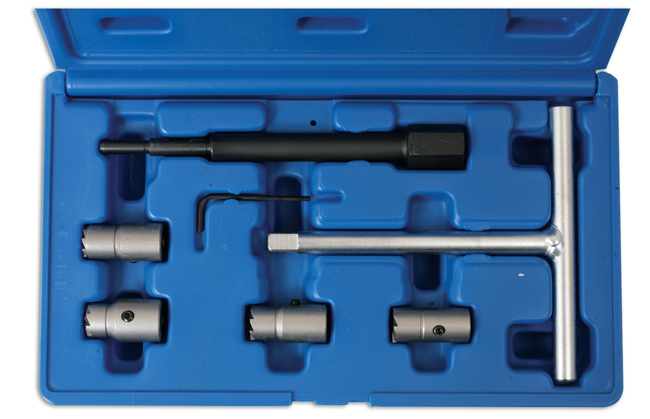 This kit was originally specified for engines designed before 2003, however some components are used on engines up to 2010. 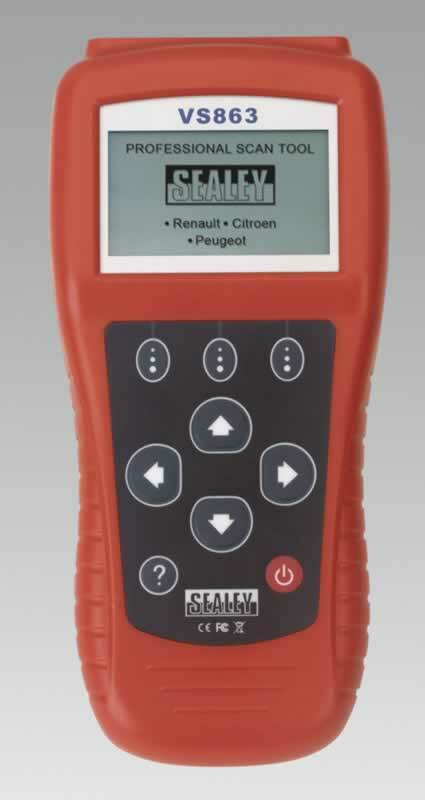 For full coverage of Renault engines we recommend you also purchase - Part No. 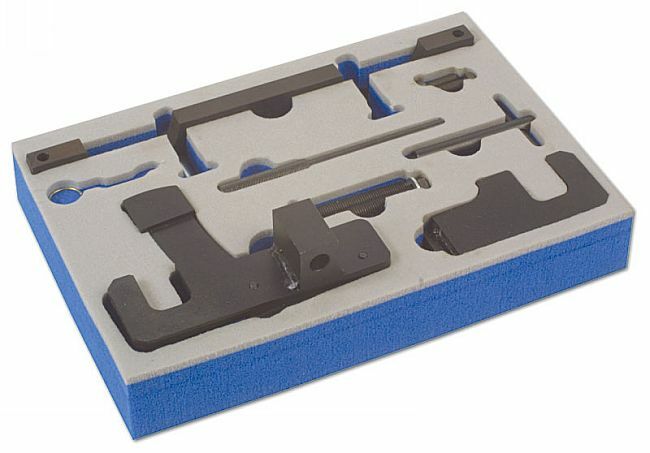 4865. 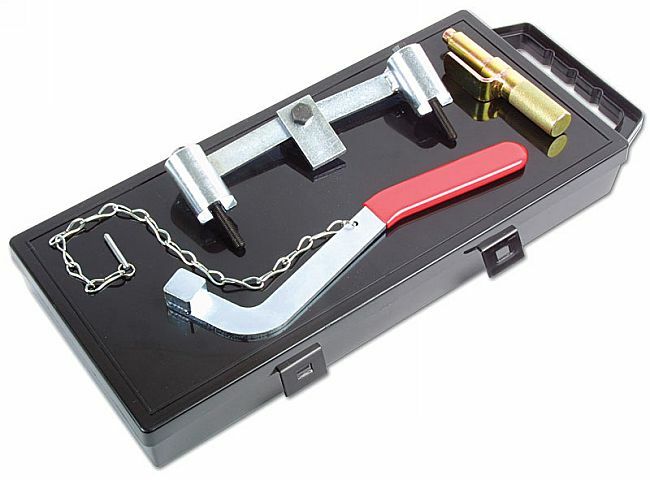 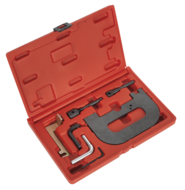 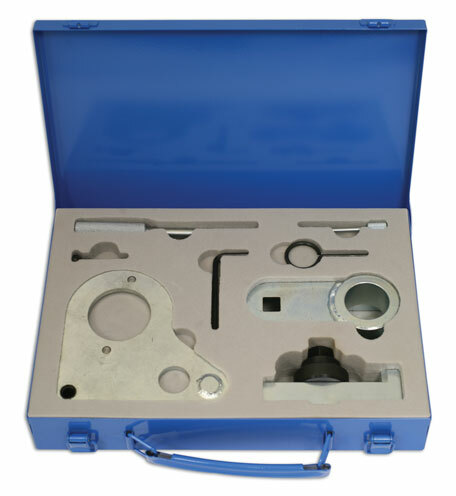 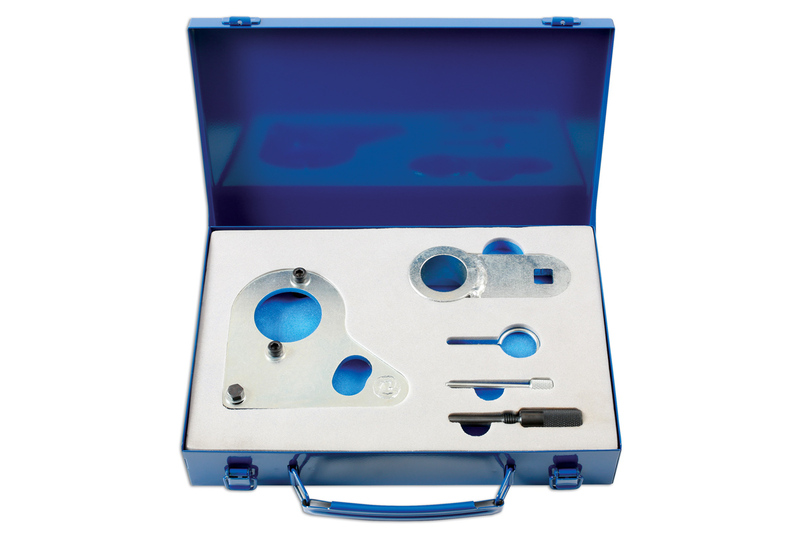 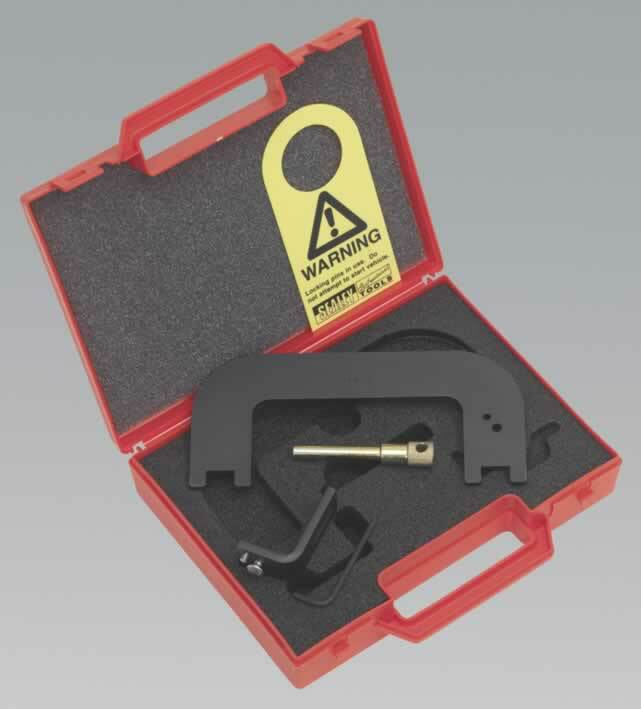 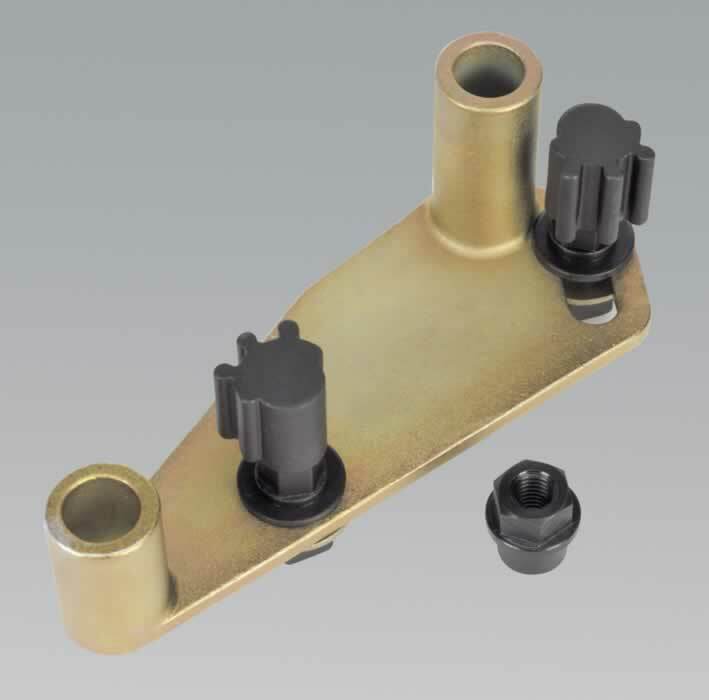 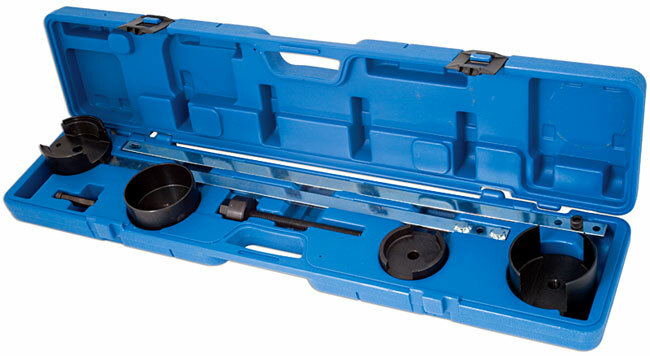 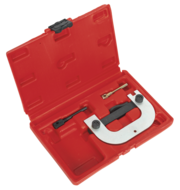 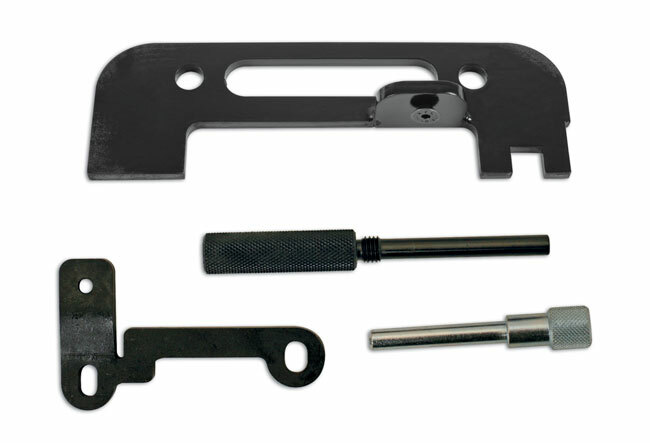 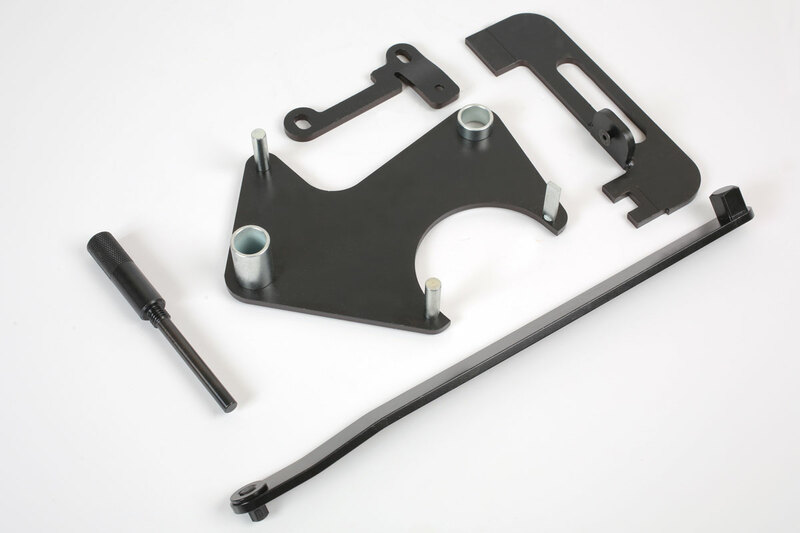 Timing tool kit for Renault 1.6, 2.0, 2.3 DCI chain drive diesel engines fitted to the Megane | Vel Satis | Espace | Scenic | Trafic | Laguna | Koleos, also fitted to the Nissan Qashqai and the Vauxhall | Opel Vivaro. 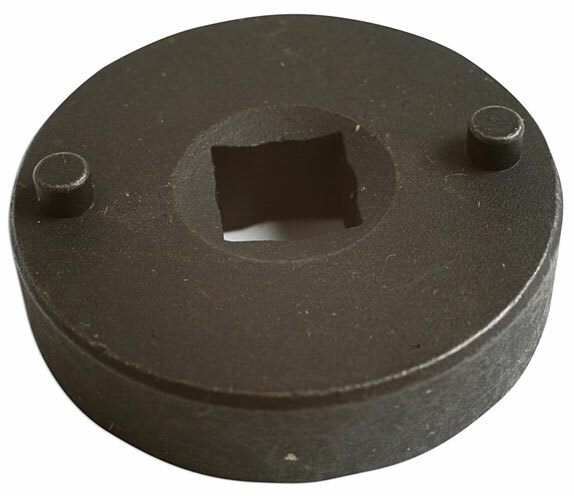 FLANGES	18F For	CITRO SIZE	84mm Sq. 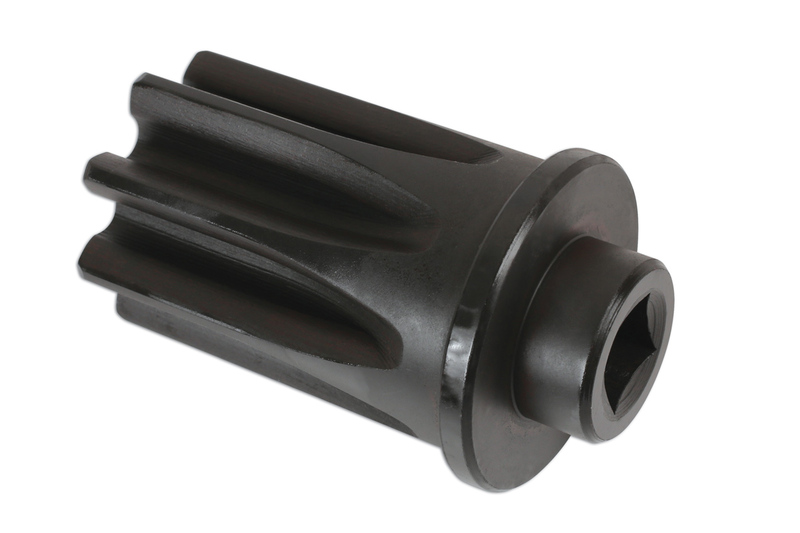 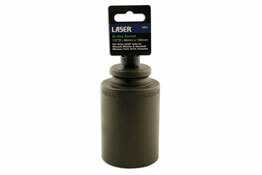 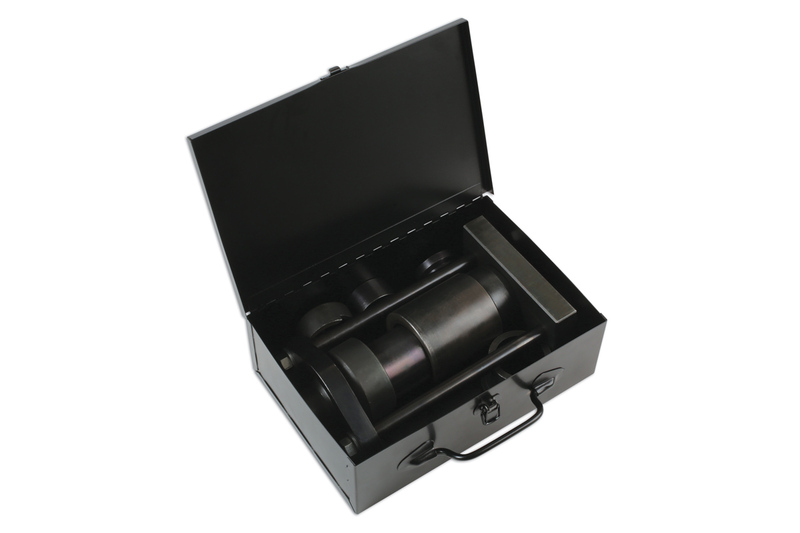 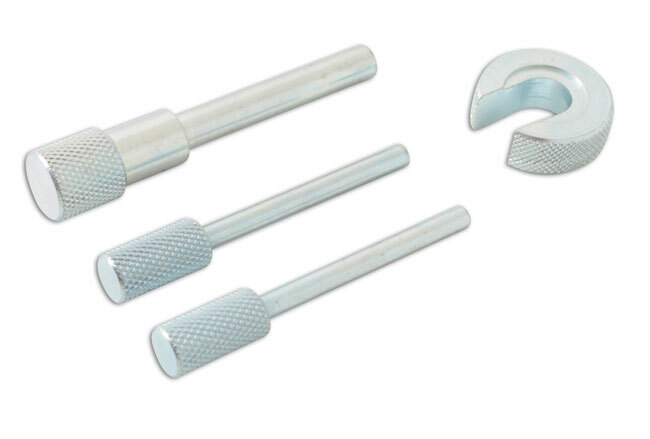 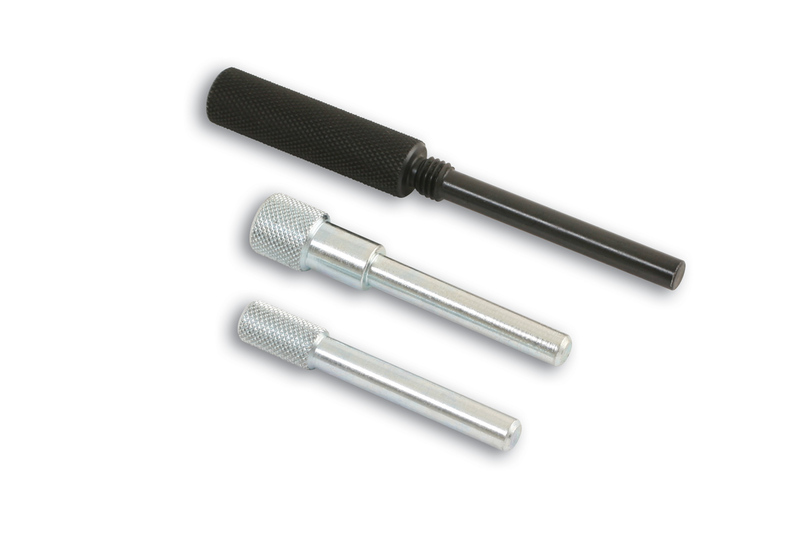 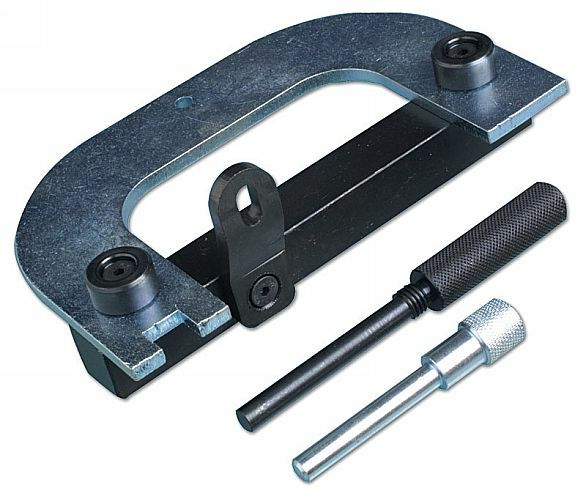 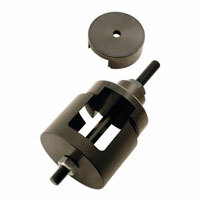 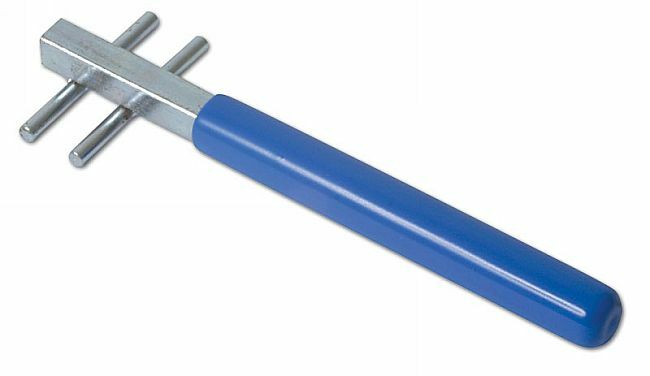 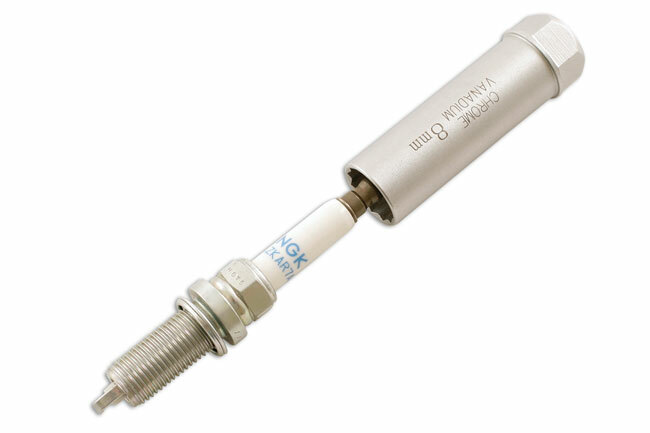 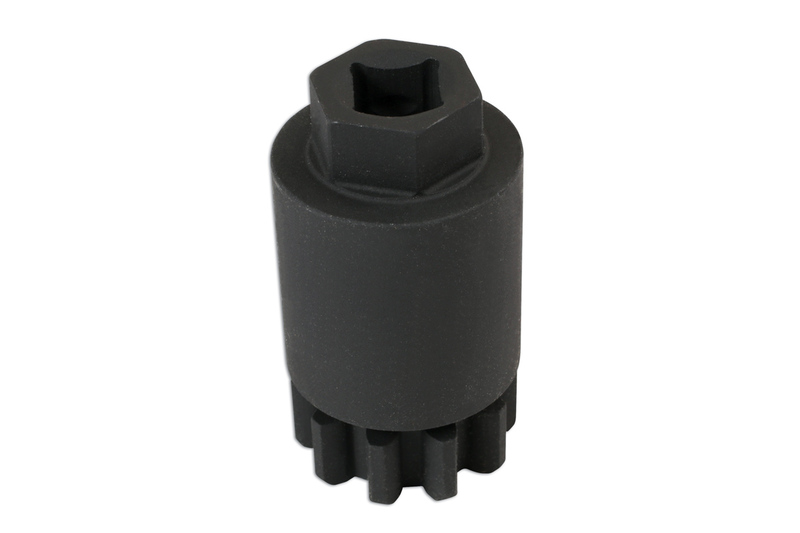 Drive	1/2"
Specially designed to handle clockwise and anti-clockwise. 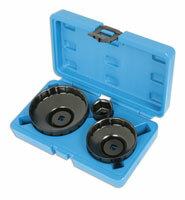 Holds cam shaft while changing the timing belt. 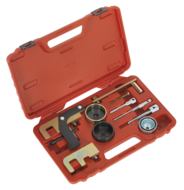 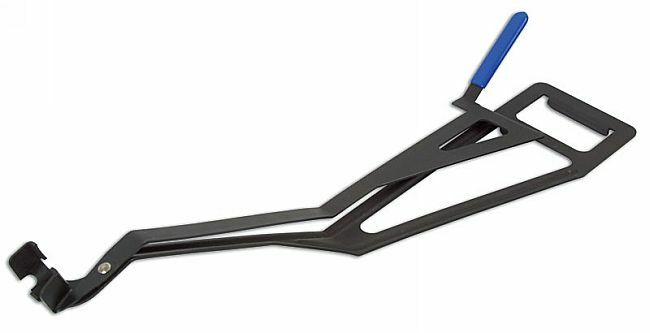 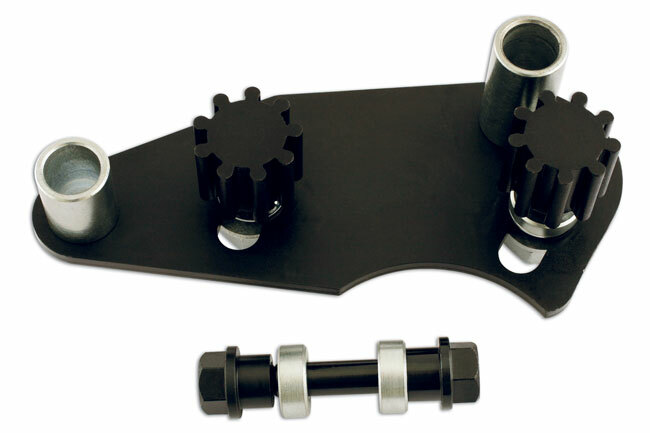 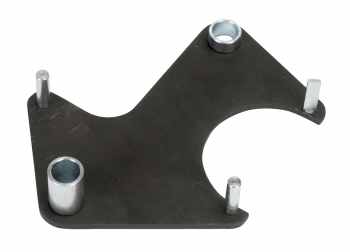 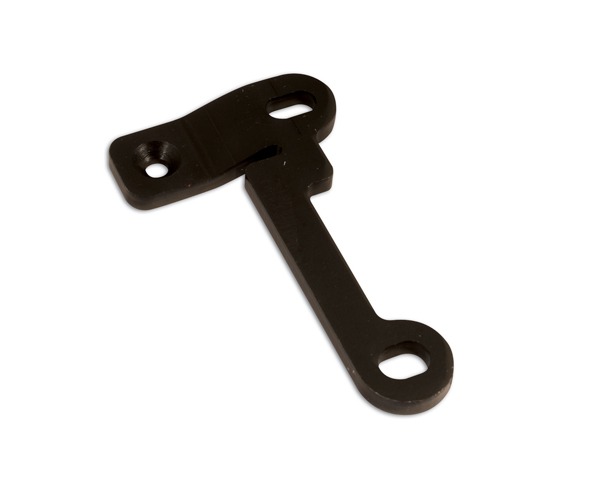 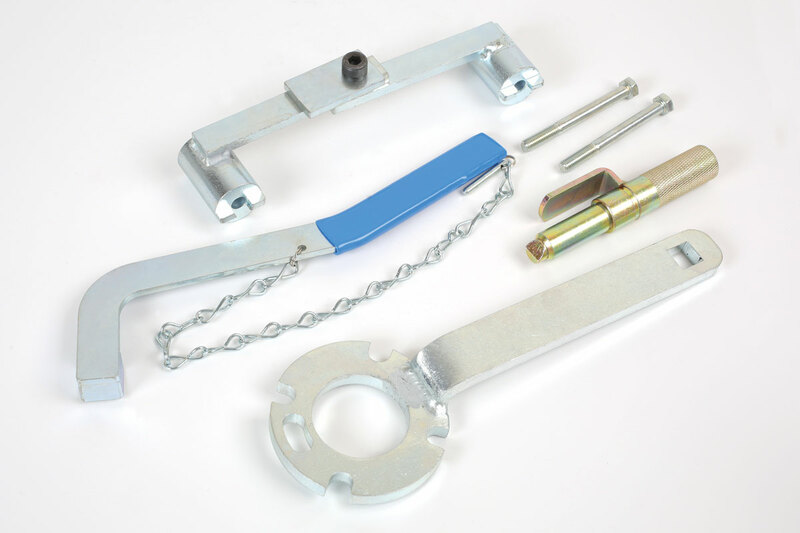 Specifically designed to allow the correct alignment on the engine pulleys when replacing the cambelts on the 1.6 16v petrol engine. 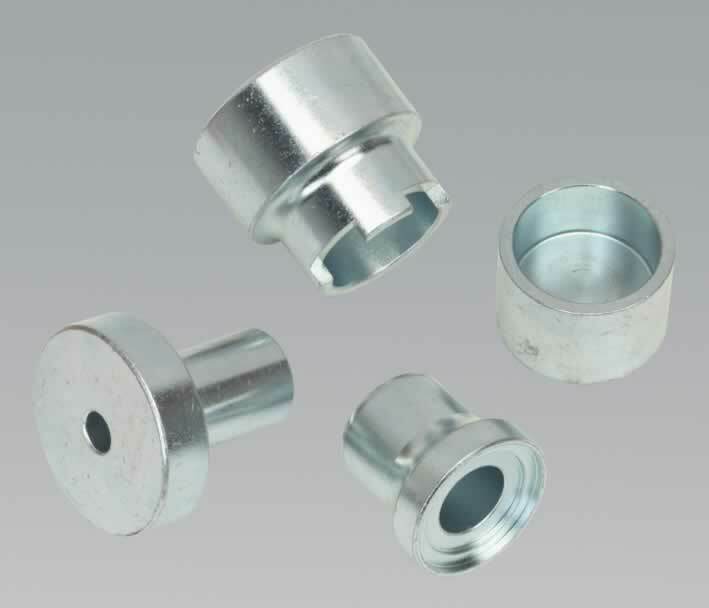 For 1.6 16v engines. 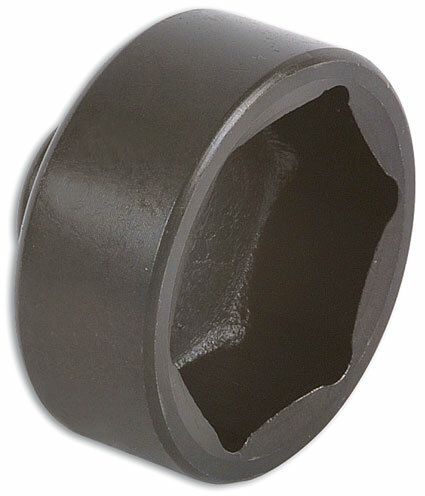 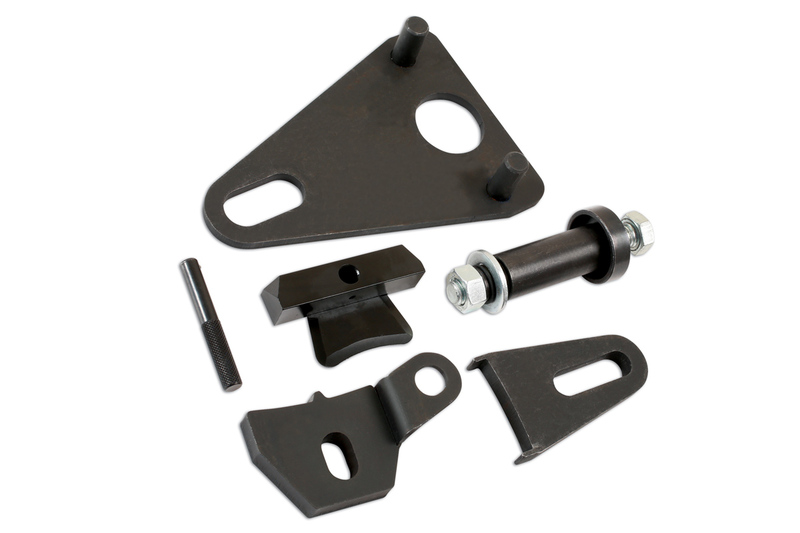 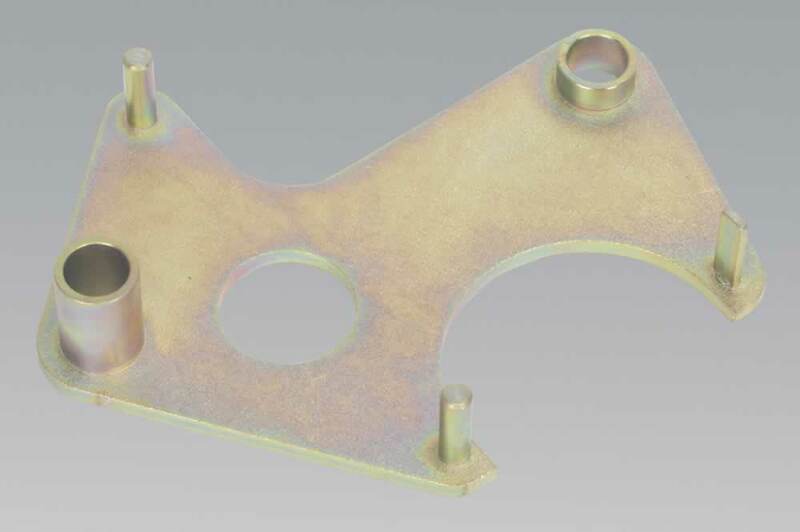 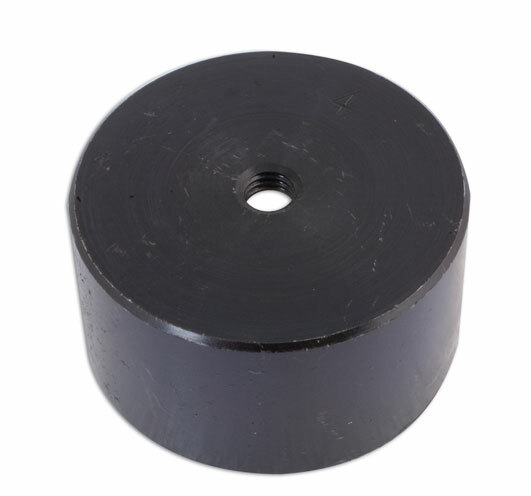 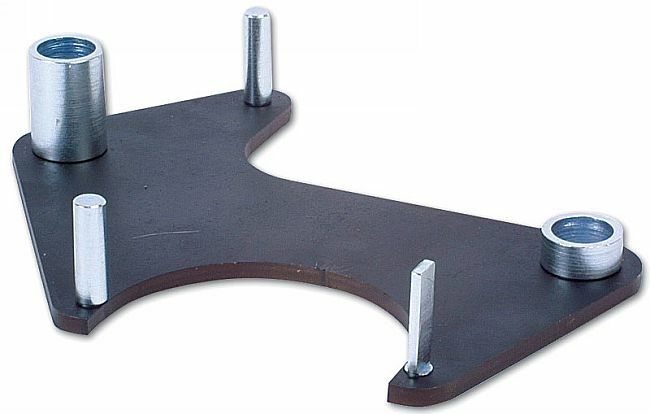 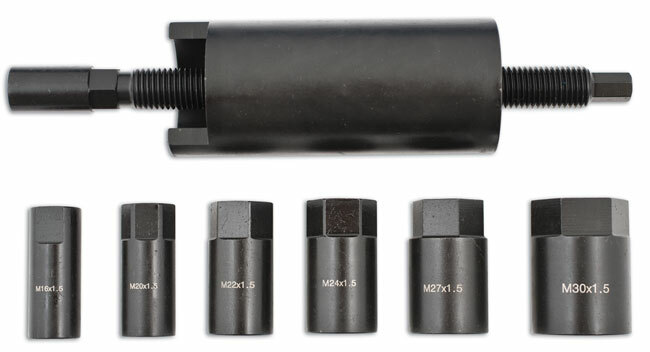 For the removal and refitting of rear axle bushes on Laguna II OEM Ref. 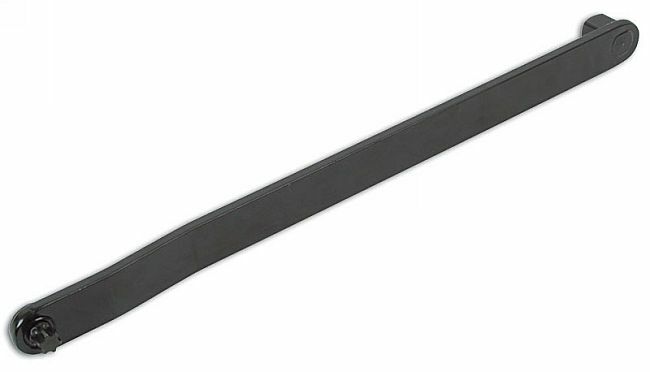 1751. 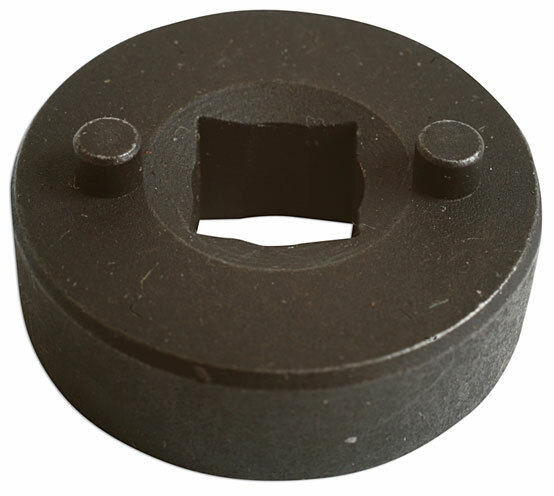 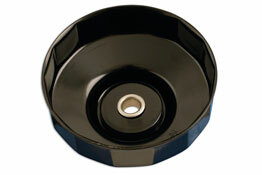 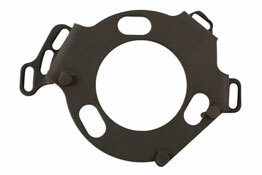 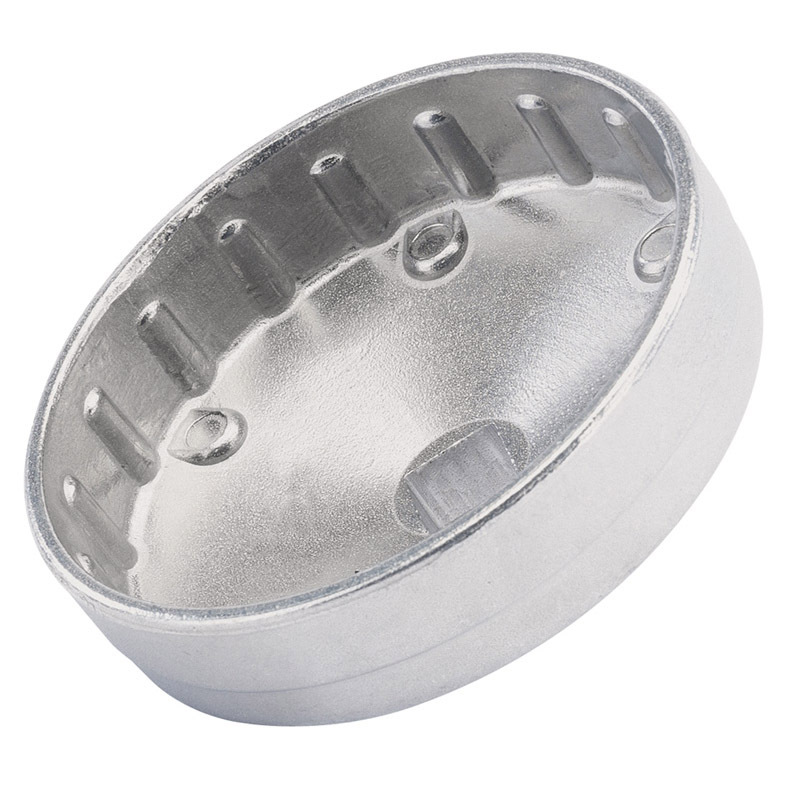 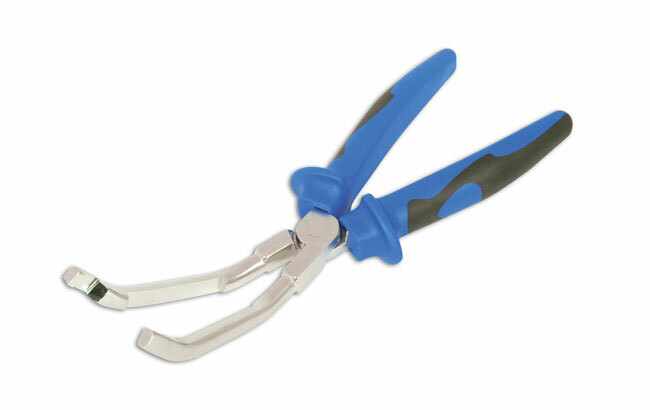 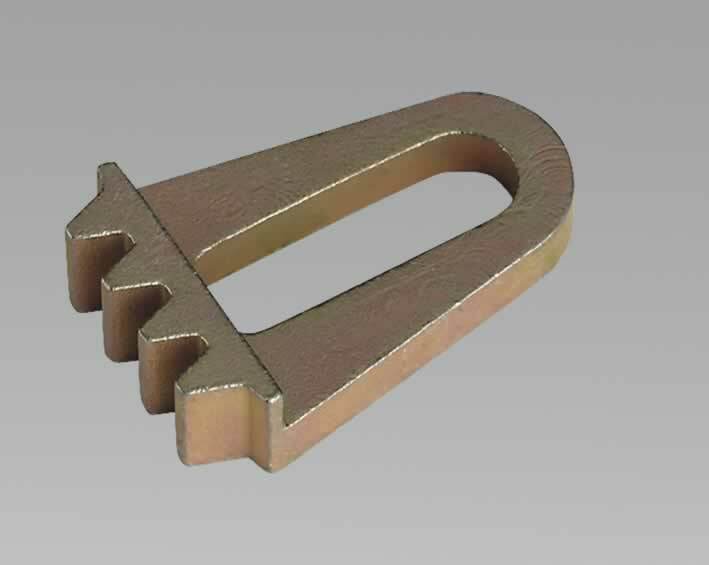 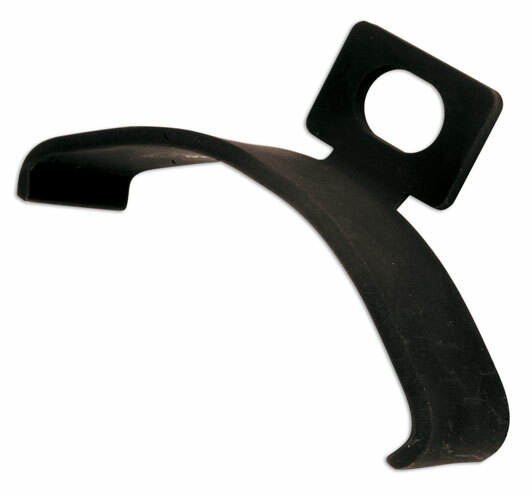 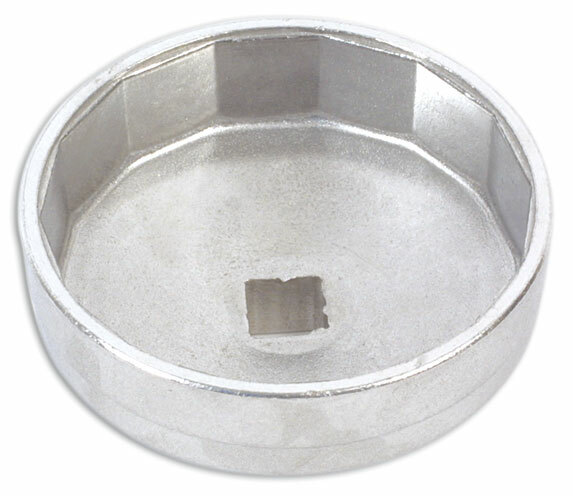 A specifically designed oil filter wrench for Renault, Peugeot, Ford and Seat. 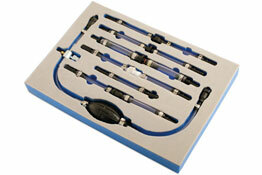 The clear pipes allow any air bubbles in the system to be seen.